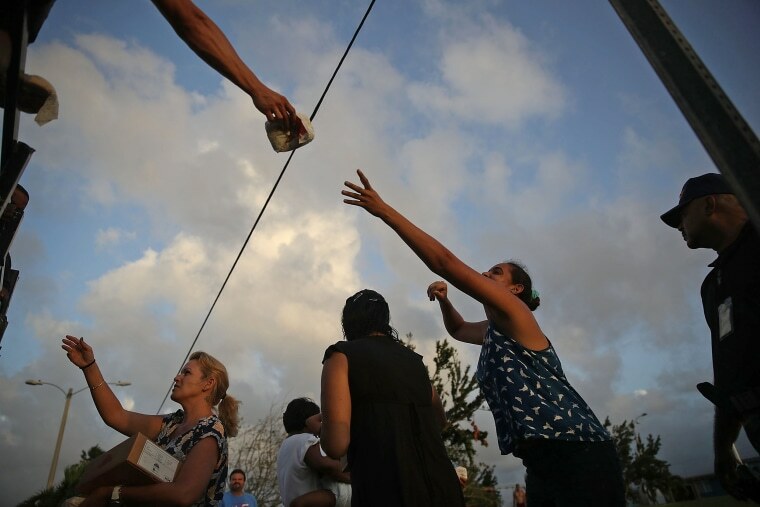 Democrats in Congress are demanding answers from the Federal Emergency Management Agency on how a one-woman company got a contract to deliver millions of meals to Puerto Ricans in the aftermath of Hurricane Maria — meals that were not delivered. The New York Times first reported that FEMA awarded a $156 million contract to Tribute Contracting LLC’s only employee, Tiffany Brown, to deliver 30 million meals for Puerto Ricans. Only 50,000 of these meals made it to the island, when at least 18.5 million meals were first due. Shortly after, FEMA realized the food already delivered had been improperly packaged. As a result, FEMA terminated Brown’s contract. FEMA spokesperson William Boohe told the Times that the agency was able to rely on other suppliers. “At the time of the contract termination there were ample commodity supplies in the pipeline, and distribution was not affected,” Boohe said. But Reps. Elijah E. Cummings, D-Md., the ranking member of the House Committee on Oversight and Government Reform, and Stacey Plaskett, the nonvoting delegate of the Virgin Islands, released a letter asking for an investigation into the contract. "It is difficult to fathom how FEMA could have believed that this tiny company had the capacity to perform this $156 million contract," read the letter, which also calls for committee chairman Rep. Trey Gowdy, R-S.C., to subpoena FEMA for all documents pertaining to the contract and the Trump administration’s handling of the disaster response in Puerto Rico. Rep. Darren Soto, D-Fla., whose Florida district is now home to about 60,000 displaced Puerto Ricans from the island, voiced concerns in regards to “a troubling reoccurring pattern with FEMA’s oversight of contracting procedures, from repairing the island’s electrical grid to delaying food delivery assistance” in a statement to NBC News. “It shows clear wrongdoing and inadequate preparation from the Trump Administration to respond to disasters,” Soto said. Rep. Nydia Velázquez, D-N.Y., who is from Puerto Rico, said in a statement that this was the latest example of how the Trump administration had "repeatedly failed the people of Puerto Rico and bungled its response to this historic disaster." "The fact is this administration has let down 3.3 million American citizens as they suffer through a humanitarian crisis," Velázquez said. Puerto Ricans are dying. These volunteers are trying to change that. In the immediate aftermath of Hurricane Maria, Puerto Ricans struggled to find food when supermarkets lost electricity, many roads became impassable, and many either did not have access or fuel for generators to keep food from spoiling. The situation got worse when ports shut down on an island that imports about 85 percent of its food supply — leaving Puerto Ricans to heavily depend on FEMA emergency aid.